As we head into Round Thirteen of the Super Rugby competition, the Brumbies take a well-earned break after an attritional win in Melbourne last week seemingly reduced the battle to top the Australian conference to one between themselves and the Waratahs. The ‘Tahs were very good against the Bulls last week and have now won 4 in a row, but their biggest test for some time will come on Friday as they head to Christchurch to take on the Crusaders, while the Rebels must also travel to New Zealand to face a Chiefs side who are fresh off a bye and have won seven of their last eight! The Reds and Force get to fly the Australian flag with home matches this week, and first it’s up to Brisbane on Saturday afternoon as the Sunwolves play their first ever match on Australian soil. It looks as if the weather will be conducive to open and expansive afternoon Rugby, before the Aussie teams in action conclude with the Blues visiting Perth on their way home from a shellacking in Johannesburg last weekend. As per usual, with thanks to Opta Stats and @OptaJonny, we preview the round ahead purely by the numbers in this week’s edition of Stat Attack. The Waratahs have actually won their last 2 games against the Crusaders; a 3rd straight win would be their longest ever streak against the Christchurch Club. They’ve also won 2 of their last 3 games in New Zealand and will be searching for back-to-back wins there for the first time since 2009, but the Crusaders have some good stats on their side too. They have won their last 4 against Australian opposition, with the last2 games in that run both coming by margins of 25+ points, and its 12 years since the Waratahs have recorded victory in Christchurch. Round One, 2004, saw Tim Donnelly, Nathan Grey, Mat Rogers and Milton Thaiday score tries for a comprehensive 43-19 win, however the red-and-blacks average 11 more points per game (26) in the 7 straight home wins against the Waratahs which have followed that result. The Waratahs will miss Kurtley Beale, injured and out for the remainder of the Super Rugby season; he’s averaged 2 offloads per game, and in his last full game (against the Cheetahs) carried 12 times while beating 2 defenders. Israel Folau, Rob Horne and Andrew Kellaway all boasted impressive numbers from the win over the Bulls last week, combining to beat 8 defenders and make 5 clean breaks at an average of 99 metres gained per player, while in the pack Dave Dennis provided plenty of momentum by averaging nearly 7 metres per carry; he’ll need the other forwards to make similar progress if the ‘Tahs want to continue to play a patient, ball-in-hand style of Rugby against the Crusaders. The Crusaders rank 1st in the competition for offloads and clean breaks, as well as ranking 2nd for tackling, tries scored and overall points, however the Waratahs rank well in scrum success (5th), ruck success (3rd) and average metres made (4th). 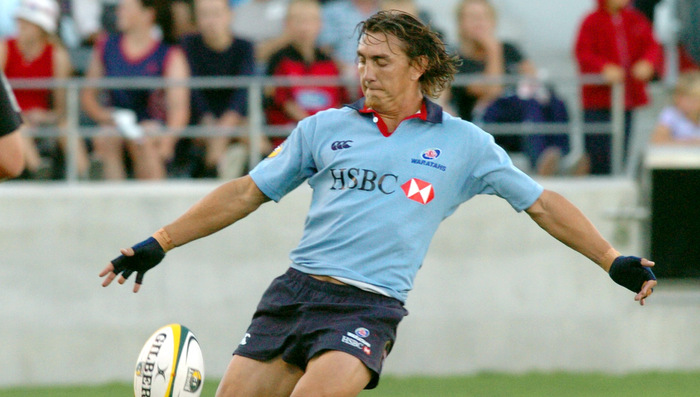 Will the Waratahs need to be at their best to get the result on Friday? Absolutely, but coming into this game on the back of 4 successive wins whilst also in the realisation that they can extend their conference lead will have them primed to give it a mighty crack. This 2014 Super Rugby final re-match should be an absolute belter. The Sunwolves’ effort to draw with the Stormers in Singapore last weekend was something that nobody saw coming, and indeed they were only a minute away from recording the 2nd win of their franchise’s short history. The Reds certainly won’t take them lightly, and with the Sunwolves having been in Australia all week acclimatising the travel shouldn’t affect them too much. The Reds were good in patches against the Hurricanes but fell short 29-14, missed tackles playing a key role as they conceded 5 tries to 1. The good news is that they have won their last two matches at Suncorp Stadium and are going for 3 in a row for the first time since 2013, and they’re up against a side who have conceded 171 points in their 3 games away from home so far in 2016 (an average of 57 per game). Last week’s Reds centurion Rob Simmons has won 58 lineouts to date this season, the 2nd most of any player in the competition, and it certainly helps that Andrew Ready is throwing at 91%. Hendrik Tui, who ranks in the competition’s top 5 for both carries and defenders beaten, will be up against plenty of familiar faces from the Japanese national team, while the battle on one wing between the competition’s top try-scorer Akihito Yamada (Sunwolves) and bullocking former NRL star Eto Nabuli, each with 18 clean breaks this season, will be fascinating. Chris Feauai-Sautia scored his side’s only try last week while also beating 4 defenders among 3 clean breaks, while Campbell Magnay made 2 clean breaks of his own against the Hurricanes after scoring a try on his first appearance of the season in his side’s win against the Cheetahs the week prior. The Reds have scored 38 more points than they’ve conceded in the third quarter of games so far this season, the fourth best difference of any team, so the half time team talks are working. Couple that with the vocal home support, and it’s pretty damn apparent that the Sunwolves will need a full 80 minute effort if they’re to snare a big upset here! Despite being on an equal-competition high 37 points, the past month has not been the Chiefs’ best of the season. They had a bye last week and went down to the Highlanders 26-13 in front of their home fans the week before that. Prior to that, they eked out a 2-point win at home against the touring and inconsistent Sharks, and if you go back even 1 week further only a dropped ball with a gaping try line stopped the Hurricanes from stealing an 80th minute win against the 2012 and 2013 champions. With 2 separate trips to Australia still to come as well as tough games in New Zealand against the Crusaders and Highlanders, Dave Rennie’s men will have marked this one down as an absolute must-win against a Rebels team who themselves need victory to keep their slender finals hopes alive. Last year saw the Rebels secure their 1st ever win over the Chiefs in a 1-point thriller at AAMI Park, but the Chiefs have not lost consecutive home games in the same season since 2011 so the Rebels will need all their stars to be at their best on Saturday. Reece Hodge’s 6 competition tries sees the first-year player tied with four other players to be ranked equal 5th, 2 tries below competition leader Akihito Yamada, while flyhalf Jack Debreczeni is ranked 9th for total points (85); could a big week in front of the sticks see him crack a century in a Super Rugby season for the first time? Luke Jones ranks 6th in the competition for carries (109), 2nd of any forward, while Sean McMahon averages 3.7 defenders beaten per game to rank 4th in Super Rugby; both these players are also in the competition’s top 10 for tackling. Finally, lightning quick winger Sefanaia Naivalu has made an average game of 9.7m from 26 carries so far this season, the most of any Australian-based player and the 3rd most overall. The lineout will be a biggie here; the Chiefs have scored 3 tries on the back of a lineout steal, the equal most of any team in the competition, while the Rebels have conceded the joint most tries (3) after having their lineout stolen. The Rebels concede a miserly 14.7 turnovers per game, ranked 3rd in the competition, and only concede 8 penalties per game to rank 2nd in that aspect, while the Chiefs will be missing midfielder Charlie Ngatai, out with a concussion. Could the Rebels taste victory on New Zealand’s North Island for the first time? The Western Force will be looking to make it 2 in a row here, after securing their 2nd win of the season against the Sunwolves in Tokyo a fortnight ago before a bye in Round Twelve. They’ve only ever beaten the Blues once and never in Perth, Richard Brown, Tamaiti Horua and Cam Shepherd scoring tries in a 27-17 win back in 2008, however they’ll know that the Blues have traditionally struggled upon their return from Africa and will sense a real opportunity here. There were plenty of positives in the Force’s win over the Sunwolves, none more so than Marcel Brache’s trio of tries which ended a wait of over 30 games to score his first Super Rugby points. Other highlights included the near-perfect tackling of their starting forward pack; only 2 tackles missed in 68 attempts, with Matt Hodgson, Ben McCalman and Harry Scoble all making more than 10 apiece. In their heavy defeat at the hands of the Lions last week, the Blues missed nearly 20% of their tackles and their lineout operated at just 76%; it’s fair to say their coach Tana Umaga will have had them hard at work to eradicate figures like that this time out. No Blues player made more than 40 metres in that game, with reserves Male Sa’u and Kara Pryor their top carriers despite entering the game late in the piece. The Force have lost their last 4 games at home when hosting a team from New Zealand, scoring an average of just 12 points per game in that span and conceding 31, but their confidence is up and the return of Kyle Godwin and Peter Grant in recent weeks has sparked their attacking flair. The much-vaunted new game plan we started to hear about in pre-season is becoming to come to fruition, and they’re a real sniff here. Thanks to OPTA Sports, we crunch the big numbers ahead of this weekend's Super Rugby fixtures.